Massive Fraud at Indian State-Owned Bank Linked to Celebrity Jeweler - Integration Through Media ....! 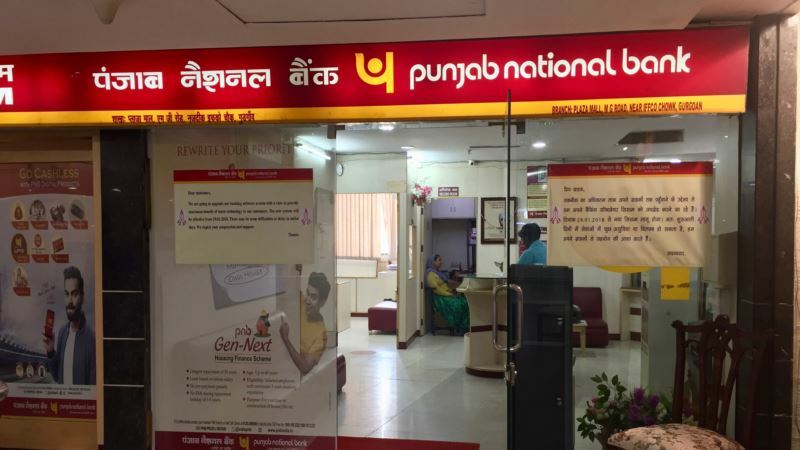 (VOA): The uncovering of one of the biggest frauds at a state-owned bank in India has rocked the country's financial sector and brought scrutiny to a billionaire jeweler who counted Hollywood stars among his customers. The nearly $1.8 billion fraud reported at India's second-largest state-owned bank is a blow to the government's efforts to revive the state-owned banking sector, which is already staggering under a mountain of bad debt. Nirav Modi, whose jewelry boutiques span high-end streets from Hong Kong to London to New York and whose diamonds have been worn by Hollywood stars such as Dakota Johnson and Kate Winslet, is being investigated for the fraudulent transactions. His brand ambassador is Bollywood star Priyanka Chopra, who has also carved a niche in the United States. Officials at the bank have accused Modi and his companies of obtaining unauthorized letters of undertaking from junior employees to secure credit from overseas branches of Indian banks. Modi has not responded to the allegations and, according to some reports, left the country last month. His home, stores and offices were raided by Indian investigators. His passport is being revoked, according to the Law and Justice Minister, Ravi Shankar Prasad. Modi, whose worth is estimated at about $1.74 billion, is the 85th richest man in India, according to Forbes. Belonging to a family of diamond traders, the soft-spoken businessman founded a company called Firestone Diamond in 1999 — later rechristened Firestar Diamond — and quickly made a name in the business. He later set up his own jewelry design brand and won the rich and famous among his customers. In January, he attended the economic summit in Davos, where a large Indian business delegation was present, along with Prime Minister Narendra Modi. The two are not related. The fraud, which went undetected for years, has reignited concerns about governance standards at Indian banks and norms that are used for lending to corporate customers. Questions have been raised as to why audits failed to detect the fraud for years. It came to light weeks after the government announced a $14 billion bailout for state banks. These banks, which account for about two-thirds of all bank assets in the country, are the backbone of the financial system, but are saddled with bad debt estimated at $147 billion. Economists have warned that this mountain of bad loans threatens India's efforts to accelerate its economy as it slows down efforts by banks to lend to potential investors.